Dr. Steven Laviolette received his Doctoral degree in Neurobiology at the University of Toronto. 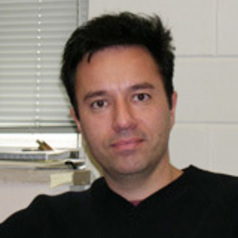 Following Post-Doctoral work at the University of Pittsburgh, he joined the University of Western Ontario, where he is currently a Professor in the Schulich School of Medicine, in the Depts. of Anatomy & Cell Biology and Psychiatry. Dr. Laviolette’s research focuses on the neurobiological and molecular mechanisms underlying various neuropsychiatric disorders, including addiction, depression, schizophrenia, PTSD and anxiety. Dr. Laviolette’s laboratory has made numerous discoveries related to how the mammalian brain is influenced by chronic drug exposure and how signaling through the brain’s cannabinoid and opioid systems can control emotional processing in specific brain circuits. Recently, Dr. Laviolette’s team has been examining how specific phytochemical constituents of cannabis, such as THC and cannabidiol, can differentially control brain pathways related to emotional processing, memory formation and cognitive dysregulation present in various neuropsychiatric disorders. Research in Dr. Laviolette’s laboratory is identifying unique molecular signaling pathways by which cannabis-derived phytochemicals may serve as pharmacotherapies for specific mental health disorders including schizophrenia, addiction, depression and anxiety. Dr. Laviolette has been the recipient of numerous national and international research awards, including, a C.I.H.R. New Investigator Fellowship, an Early Researcher Award from the Province of Ontario, the Young Investigator Award from N.A.R.S.A.D, a New Investigator Award from the Canadian Psychiatric Research Foundation and the Leader’s Opportunity Fund from the Canada Foundation for Innovation. Dr. Laviolette currently serves on several Review Panels for the Canadian Institutes for Health Research. He is a member of the Canadian Institute for Military and Veteran’s Health Research and is the former Chair of the Review Committee for the Ontario Mental Health Foundation.